USDJPY is expected to move in lower ranges since USD is losing its power with the Wall Street Journal Dollar Index. This pair is under the influence of Yellen’s speech, the release of US economic data such as the Chicago PMI, Challenger Job Cuts y/y and Natural Gas Storage for USD and the release of Housing Starts y/y for JPY. The pair is going to act more volatile today. 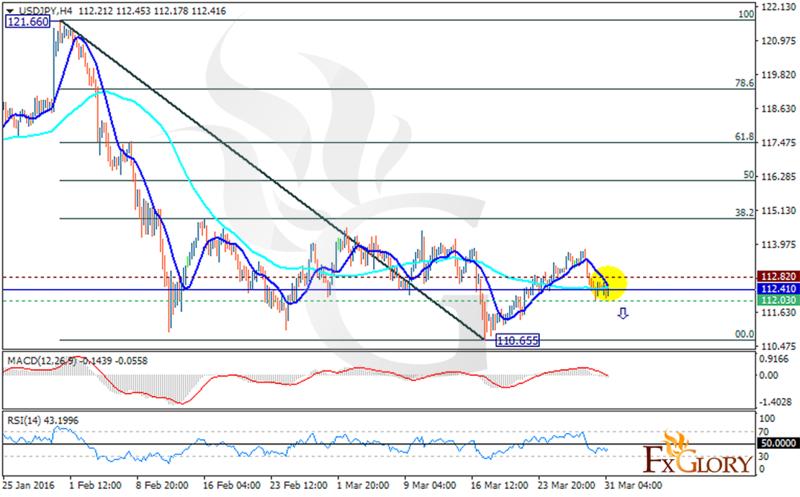 The price is getting close to the daily pivot point at 112.41 finding support at 112.030 with resistance at 112.82. The EMA 56 is meeting the EMA 11. The MACD indicator is in neutral zone and the RSI is below 50 level showing the price fall. Short positions are recommended as far as the price drops below the pivot point. Sellers can target 112.05 level followed by 111.60.